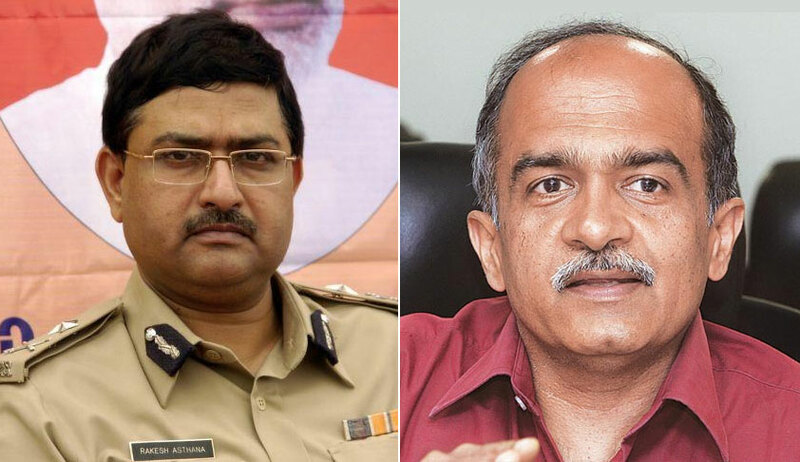 The NGO Common Cause has filed a review petition against the judgment dated November 28 of the Supreme Court bench of Justice RK Agrawal and Justice AM Sapre, dismissing the writ petition seeking quashing of the appointment of Gujarat cadre IPS officer Rakesh Asthana as the Special Director of the CBI. On August 30, the CBI’s Delhi unit had registered an FIR against three senior Income-Tax officials under the Prevention of Corruption Act of 1988 for allegedly accepting bribes from Gujarat-based Sterling Biotech and Sandesara Group of Companies in connection with the charge against the companies for cheating public sector banks of Rs. 5,383 crores. The dismissed writ petition sought the quashing of the order dated October 22 of the Appointments Committee of the Cabinet (ACC) appointing Asthana as the Special Director, CBI, on account of the seizure of one ‘Diary of 2011’ in a 2011 income tax raid at the premises of the said companies. The diary, containing the details of monthly payouts made to several income tax and police officials and politicians in Gujarat and Delhi, also mentions the name of the respondent, the then Commissioner of Police of Surat. In the impugned judgment, the bench had observed that the Selection Committee, comprising of the Central Vigilance Commissioner, Vigilance Commissioners, Home Secretary and Secretary, Department of Personnel and Training (DoPT), acting in consultation with Director, CBI, had made the recommendation regarding the appointment in view of the fact that the proposal for Asthana’s appointment had been forwarded by the CBI on July 6. The bench also noted that the confidential letter dated October 21 of CBI Director Alok Verma, enclosing an unsigned note expressing doubts on the eligibility of Asthana, had been duly considered by the committee. The apex court had refused to interfere with the unanimous decision of the committee, relying on Mahesh Chandra Gupta vs UoI & Ors [(2009) 8 SCC 273] in so far as it was held thereunder that the scope of judicial review does not extend to the content of consultation in making an appointment. The court had noted that the said FIR also does not mention the name of Asthana. The bench had also observed that the newspaper reports the petitioner had relied upon to show that no decision regarding the appointment was taken at the selection committee meeting on October 21 and hence, the order of the ACC is illegal were factually incorrect. The present review petition has been filed on the grounds of discovery of new evidence and error apparent on the face of the record. The present petitioner has submitted before the apex court a letter dated November 9 of the Central Vigilance Commission (CVC) seeking a report from the Director, CBI on the authorship of the unsigned note given by the CBI director in the Selection Committee meeting on October 21 along with his own letter. The CVC in this letter has also enquired whether any verification has been carried out on the documents referred in the note given by CBI Director and sought copies of the same from CBI. The petitioner is relying on the said letter to show, inter alia, that “a. the Minutes of the Meeting dated October 21 produced by the counsel for the government as well as the submissions of the counsel of the government were based on incorrect facts in order to mislead this Court into believing that CVC had verified the documents mentioned in the note and had found nothing on the same; b. the recommendation of CVC Selection Committee had been made without even the most rudimentary enquiry into the contents and the authorship of the said note”. The petitioner has contended that the Attorney General representing the government, has suppressed and concealed CVC’s letter dated November 9 sent to the CBI as well as the letter containing the unsigned note given by the CBI Director in the selection committee meeting from the Supreme Court. Further, the petitioner submits that there exists an error apparent on the face of the record as the judgment does not deal with the issue of institutional integrity of CBI laid down in the CVC case [(2011) 4 SCC 1]. The investigative officers in the said FIR would not be able to freely and fairly investigate the role of their boss, who is known to be close to Sandesaras and Sterling Biotech Ltd, and therefore, the institutional integrity of CBI is bound to be compromised. Also, the petition averred that the impugned judgment does not give any finding on the issue of employment of Ankush Asthana, son of Rakesh Asthana, with Sterling Biotech as well as on the pre-wedding party of the daughter of Rakesh Asthana held at farmhouse of Sandesaras, which show the closeness of the present respondent with the tainted companies. Finally, it is submitted that the impugned judgment fails to take note of the fact that the present respondent has not filed Immovable Property Returns for the year 2016 as mandated by a DoPT notification and hence, is not eligible for empanelment as the Special Director.